It sure has been a busy summer! Things have been fairly busy, and since summer is short, I have decided to spent more time with my kids rather than working on my site. I even got all their school supplies and clothes all ready and neatly organized. Our summer this year was not as hot as some other years, but we got at least a few hot days and we sure used them with pool time and boat rides. Two of my kids learned to swim, so for me that was a proud-mama moment. During the colder, even rainy summer days I cooked up soup. This tomato soup was one of them, and it was easy to prepare. Tomatoes are rich in vitamins A, C, K, folate and potassium. It is quite the filling and satisfying soup. 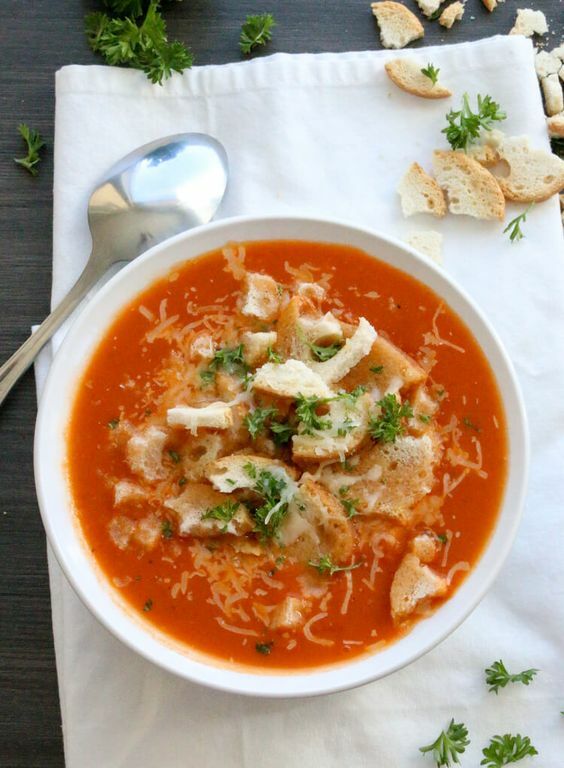 If you love tomatoes, you will love this tomato soup! In a medium size soup pot, heat up 3 Tablespoons olive oil. Add onion and garlic, then sear until slightly golden-brown. Add 2 Tablespoons of flour and stir to coat the onion and garlic. Add 3 cups of chicken broth, and tomatoes. Put the mix back on the stove and heat it up. Garnish with cheese, croutons and parsley.